Tanya joined OptiFour Integrated Wealth Management in January 2015 as Director of Client Relations. As such, she is responsible for overseeing client services for all OptiFour clients. Tanya is also acting Director of Marketing/Business Development. 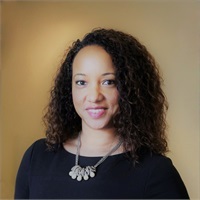 In December 2018, Tanya was promoted to Director of Wealth Operations. Tanya is a dual US-German citizen, and is bilingual. She studied abroad in Würzburg, Germany, and holds a Bachelor’s in International Business. Tanya began working in the financial field during her return from Europe. She started her career with Bank of America, and subsequently worked for Merrill Lynch and Morgan Stanley. After 10+ years of Operations Analysis, she joined a Registered Investment Advisory firm in Columbia, Maryland, where she specialized in Investment Operations Management.